Rafalskiy O., Samchuk Z. Civilizational crossroads of modern society. 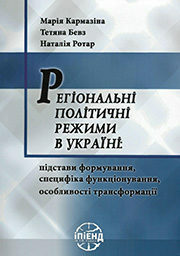 The monograph analyses the transformation and comparison of the approaches of parliamentary political forces to the problem of integration perspectives in Ukraine both at the domestic level and at the level of international structures during 2014 – mid 2018. 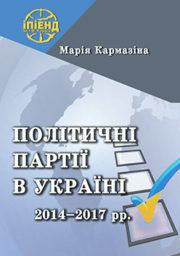 The critical analysis of the activities of parliamentary political forces as the formers of the development strategies of the state and Ukrainian society is carried out. Gorbatiuk M.V. Expert environment of Belarus on contemporary challenges and integration perspectives of Ukraine in the context of Russian aggression in Crimea and Donbass. The estimations and predictions from the analysts and experts of the Republic Belarus concerning the annexation of the Crimea by the Russian Federation, the Russian-Ukrainian war in the Donbass region, the place and role of Ukraine in the new geopolitical conditions are analysed. 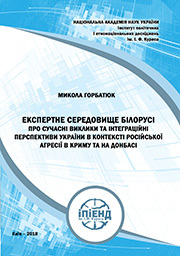 The brief excursus into the activities of the Belorussian analytical centres is made, their peculiarities of functioning are shown. Shapoval Yuriy. “Oleksandr Shumskyi. Life, Fate, unknown documents: researches, archive materials”. 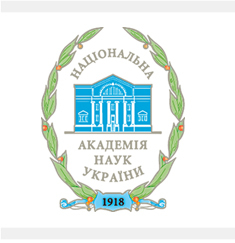 Karmazina M., Bevz T., Rotar N., Napadysta V. Challenges and integration perspectives of Ukraine in the context of Russian aggression in Crimea and Donbass: an analysis of assessments by foreign analysts and experts. The analytical report is prepared by the results of the study on “Challenges and integration perspectives of Ukraine in the context of Russian aggression in Crimea and Donbass: analysis of assessments by foreign analysts and experts”. 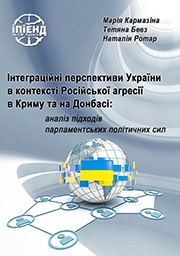 The opinions of analysts and experts from Western countries and CIS countries that are reflected on the pages of Internet resources regarding the specifics of the “Ukrainian crisis”, “Donbass break” and “sovereignty” of Crimea, their interpretations of current and potential threats / challenges to integration processes in Ukraine are analysed. Shapoval Yu. 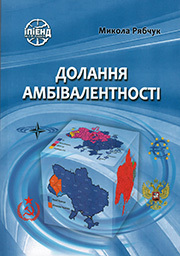 I., Zolotarev V.A. «Guillotine of Ukraine»: The People’s Commissar Vsevolod Balitskyi and his fate. «Guillotine of Ukraine» – that’s what Vsevolod Balitskyi, the long-time chief of the General Procurator’s Office and People’s Commissariat for Internal Affairs (NKVD), was called by one of his contemporaries. 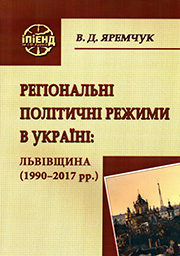 History remains the subject of heated discussion in Ukraine, of the most unexpected discoveries and in-deep reader’s interest. Yurii Shapoval is a connoisseur of its secrets, a researcher of archives, a publisher of unknown facts and documents, a scientist with an excellent worldwide reputation. And at the same time, he is a talented populariser of historical knowledge, the author of invariably interesting TV programs, documentaries, radio programs and newspaper stories. Zorych O.O. Political identities in modern Ukraine: Poltava city community. 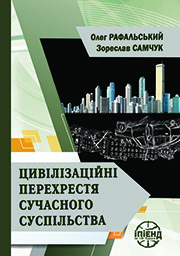 The brochure provides the generalized analysis of the main factors influencing the local processes of formation and transformation of political identities in Poltava city community. The content and specificity of identity policy in the city are determined, their constitutive role in structuring the political and social field of Poltava is proved.